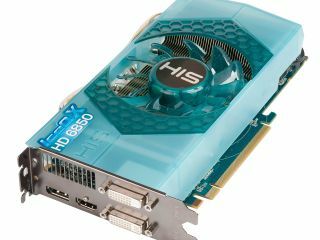 HIS has unveiled its self-styled 'secret weapon' – the HIS 6850 IceQ X and IceQ X Turbo graphics cards. The latest cards from HIS are equipped with company's latest cooling tech, and boast high-quality components that include solid-state chokes and capacitors. "The new HIS 6850 IceQ X Series is equipped with performance-leading cooling technology and silent configuration, allowing enthusiastic gamers to experience a totally new immersive gaming experience," said the company's release. "Both cards are equipped with the same 1GB GDDR 5 memory, with the IceQ Turbo version featuring a maximum core clock speed of 820MHz and a memory clock of 4,400MHz." The AMD chipset that the cards are based on means that they also boast HD3D and Eyefinity for up to three monitors.